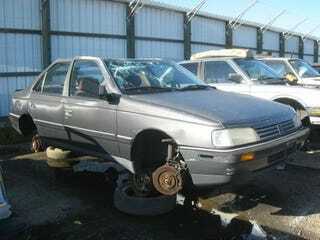 Peugeot gave up on North America in 1991, so 405s (and 505s) of this era don't exactly crowd the Jettas out of the European section at my local self-service wrecking yard. You can still buy a new 405, if you're willing to travel to Egypt or Iran, so the front-drive sedan has had great staying power outside of our continent. You'll find on in every car, kid. You'll see.